When posting your comment, it will take some time before it will become visible. Please make sure to provide your e-mail address so we can contact you if necessary. The e-mail address will only be visible to the administrator. Boswellia carteri Birdw. var. undulato-crenata Engl. • Kiambi, D., 1999. Assessment of the status of agrobiodiversity in Djibouti: a contribution to the National Biodiversity Strategy and Action Plan. Draft report. IPGRI, Nairobi, Kenya. 61 pp. • Neuwinger, H.D., 2000. African traditional medicine: a dictionary of plant use and applications. Medpharm Scientific, Stuttgart, Germany. 589 pp. • Westphal, E., 1975. Agricultural systems in Ethiopia. Agricultural Research Reports 826. Centre for Agricultural Publishing and Documentation, Wageningen, Netherlands. 278 pp. There are 4 study abstracts related to Boswellia sacra Flueck.. Click on "show more" to view them. There are 200 book citations related to Boswellia sacra Flueck.. Click on "show more" to view them. There are 202 citation in web searches related to Boswellia sacra Flueck.. Click on "show more" to view them. There are 200 citation in scholarly articles related to Boswellia sacra Flueck.. Click on "show more" to view them. There are 73 news article citations related to Boswellia sacra Flueck.. Click on "show more" to view them. 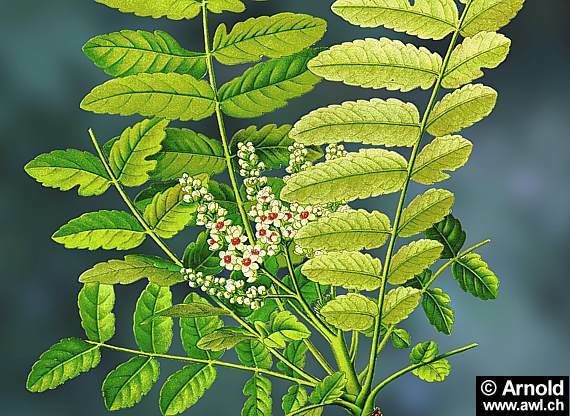 There are 14 citations in Afrirefs related to Boswellia sacra Flueck.. Click on "show more" to view them. There are 21 Wikipedia citations related to Boswellia sacra Flueck. Click on "show more" to view them.